The submitted abstracts have been examined anonymously by the EuroAsia Reviewers and Committee. We thank the abstracts submitters and congratulate those selected. We also encourage the authors not selected to resubmit for LIVES 2019 in Berlin. The authors have been informed of acceptance/rejection of their abstract by email on 14 February 2019. Presentation details have been sent on 25 February 2019. All abstracts selected for presentation at the Conference will be presented in e-poster form*. The website to upload e-posters will open by mid-March 2019. 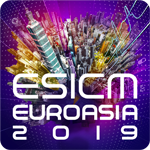 Three best abstracts have been selected by the Conference Committee to win a free registration for one of our forthcoming ESICM events (such as the LIVES Forum 2019, or LIVES 2019, or EuroAsia 2020). Once again, reviewers, who are top experts from a wide range of areas were tasked with ensuring the highest quality abstracts are selected and organised to create an interesting and varied cutting-edge scientific programme for EuroAsia 2019 in Taipei. ESICM recognises and appreciates the important contributions of these busy specialists who offer their expertise and time to ensure that the programme for EuroAsia 2019 will not only meet, but surpass the scientific heights of past events. Submission of an abstract constitutes a formal commitment by the author to present the abstract in the session and at the time decided upon by the Congress Committee. One of the co-authors can take over if needed. Failure to present the abstract, for other than duly motivated reasons, will lead to rejection of abstract submission at the next EuroAsia Conference. The presenting author of an accepted abstract must be registered to the Conference. Registration fees for the presenting author will not be waived. All accepted abstracts will be presented in e-poster form. Instructions for e-poster will be sent to the corresponding authors after the review process. It is the authors' responsibility to submit abstracts in perfect order with no errors in spelling and grammar. Abstracts will not be corrected. EuroAsia does not accept case reports. Preference will be given to new and/or ongoing work. The signing author certifies that any work with human or animal subjects related in this abstract complies with the guiding principles for experimental procedures as set forth in the Declaration of Helsinki and related publications. Submitting an abstract also certifies that at the time of submission, the scientific material found within the abstract has not been presented at any other meeting and will not be published in other than abstract form prior to the EuroAsia Conference. Failure to adhere to these rules will result in the automatic rejection of the abstract. The abstract submission system closed on 20 January 2019. This abstract receipt deadline will remain firm and any abstracts received after the deadline will not be accepted. To contact support, send your question to email.